The Y is more than a fitness center (although our STRIVE Wellness Center rivals any gym in the area!). We pride ourselves on providing exciting fitness classes, quality recreational sports leagues for youth and adults in addition to our certified child care programs. The Y is proud to serve the Waynesboro community! Valid for one day recreational use of facilities. Swim passes are valid for 2 days. Some restrictions apply. The Young Men’s Christian Association of Waynesboro, Pennsylvania is a membership organization open to boys, girls, men, and women of good moral character. 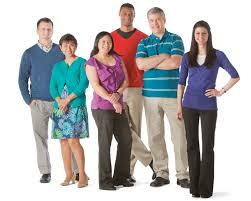 This means that each person who voluntarily joins the YMCA accepts the YMCA’s Purpose and Association Goals. Members join the YMCA for various reasons – programs, facilities, services, fellowship – and efforts have been made to inform them of their responsibility in the Association. The Association has the responsibility of informing its members of the purpose, goals, mission, and the objectives of the Association. Please read our membership policy to learn more about the YMCA. *Association Fee- A fee to new members to assist in replacing/adding equipment, etc. to serve all members! A one-time fee provided your membership continues without interruption. Full Time Undergraduate Students: Allowed to be on a family membership until the age of 24. Must show proof of full time/ undergrad status at time of joining. Children under 6- Children under 6 must be associated with a family membership in order to participate in programs. Please note that our membership categories have recently changed. If you are currently enrolled in a membership category that is no longer active you will not have to adjust your category unless your membership lapses or you/ someone on your membership no longer meets the age requirements of that particular membership category. If you have questions, please feel free to call or visit our membership services desk. Annual: Annual membership is in effect for one year from date of joining. Annual members receive a renewal notice approximately one month before membership expires. Cash, personal check, Visa, American Express, Discover and Mastercard are accepted. Monthly Automatic Draft: Upon completion of an Authorization Agreement, your monthly dues will be deducted directly from a specified account each month. Membership is perpetual until a cancellation form is completed. Payments made at Member Services each month: Members have the option to pay their membership dues monthly at our Member Services Desk. However, there is a $2.00 service fee each month. All returned items will be forwarded to a non-affiliated party (E-Cash Flow) for electronic collection from your bank account. In addition, E-Cash Flow will debit $30.00 service charge directly from your bank account. The YMCA will continue to charge a $25.00 fee for returned items (payable at Member Services). Full Membership: Full membership permits all YMCA privileges and full use of facilities (age restricted facility access and according to facility/program schedule). Program fees, if any, are significantly lower than Program Pass (Non-member) rates. Athletic Club Locker Rooms: (Men and Women): Open to members 19 years and older; features personal lockers (available to rent); sauna and steam rooms and private controlled entrance. 3. Rental Lockers: Available in all locker rooms. Your satisfaction is our goal. If at any time you are not satisfied or become unable to participate, please visit our Member Services Desk for a “no-hassle” refund/voucher. Memberships: A full refund will be issued in the first 30 days. After 30 days, membership fees are pro-rated and the association fee is non-refundable. Programs: A prorated voucher will be issued with the exception of programs where we have made commitments based on your expected participation. 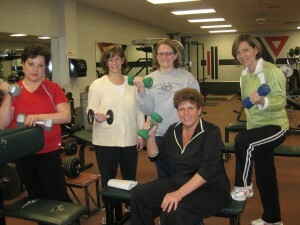 (The YMCA reserves the right to cancel any class that does not meet minimum enrollment). All refunds are determined as of the date of receipt of a fully completed “Refund Request” form. Monthly (payment) requires 30 days notice to terminate. Membership Hold: In case of a medical emergency, we can place membership on hold or extend your annual membership (a doctor’s note is required). Please note the duration of this hold or extension usually does not exceed 90 days. Members requiring a Medical Hold can contact Amanda Gietka, Membership Development Director or complete a hold form at the Member Services Desk. While we make every effort to recognize our members, we ask that you have your membership card available at all times. If you don’t have your card, you may be delayed while your membership status is verified. After 3 occurrences, you will be required to purchase a replacement card. All children, birth-12 years, must be in Child Watch or with an adult if they are not participating in a program. For children’s safety, they may not wait in a program area, Wellness Center, lounge, locker rooms, or pool area while their parent is participating in a program. A full detail of facility age requirements and limitations can be found here. Visiting YMCA members in good standing at their local YMCA will be permitted unlimited free visits to the associate YMCAs. This will include facilities offered to local general members, provided facilities/usage is available at the time of the visit (please note: this does not include child watch or classes that charge members for participation). Members should join the YMCA in the service area in which they reside. Exceptions will be made for the service area requirement for member(s) residing in either the Greencastle, PA or Smithsburg, MD zip codes in order for the member(s) residing in those areas to choose the YMCA which best fits their usage. It is encouraged by all the YMCAs to make arrangements for those members who may have a conflict with the service area requirement.